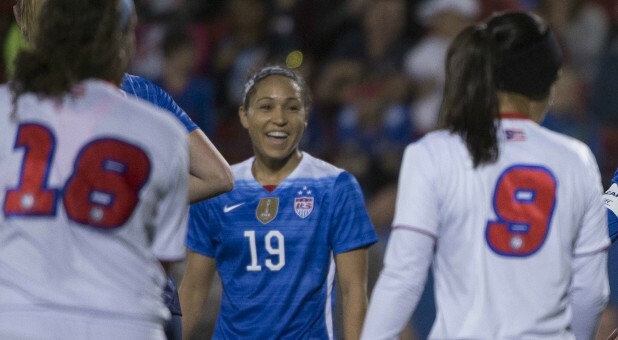 Last year, a Christian soccer star, Jaelene Hinkle, withdrew from the United States Women's National Team after the team decided to swap out their normal jerseys for LGBT Pride jerseys in international matches. Hinkle withdrew from the United States soccer roster in June citing "personal reasons." This came at a time where she was called to play in international games versus Sweden and Norway. Hinkle's resignation from the team came two weeks after the U.S. men and women's national teams announced that they would be wearing LGBT pride jerseys in support of the June pride month.